I went on a perfect autumn walk this afternoon. Whilst my son kicked the leaves and my daughter scooped up treasures, my mum and I ooohed and aaahed over lichen-covered branches. The colours of the lichen – pale green, chartreuse yellow and a dusky pink – are such a beautiful combination. Plus their forms are so beautiful they could be flowers. 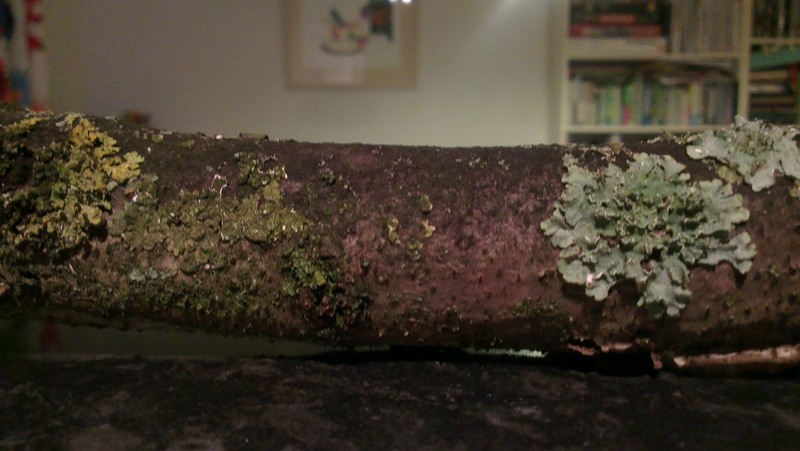 I’m a bit obsessed with bringing the outside in at the moment and I suspect this lichen-covered stick will be adorning my mantelpiece. However, with this simple action, I can no longer deny that I am like my mother. After all, this is the woman who has boxes and window sills and photo albums and bottles crammed full of found natural objects. I have tried hard to fight my inherited creative and eccentric tendencies but I think it’s time to display them – alongside an impressive fir cone I found the other day. 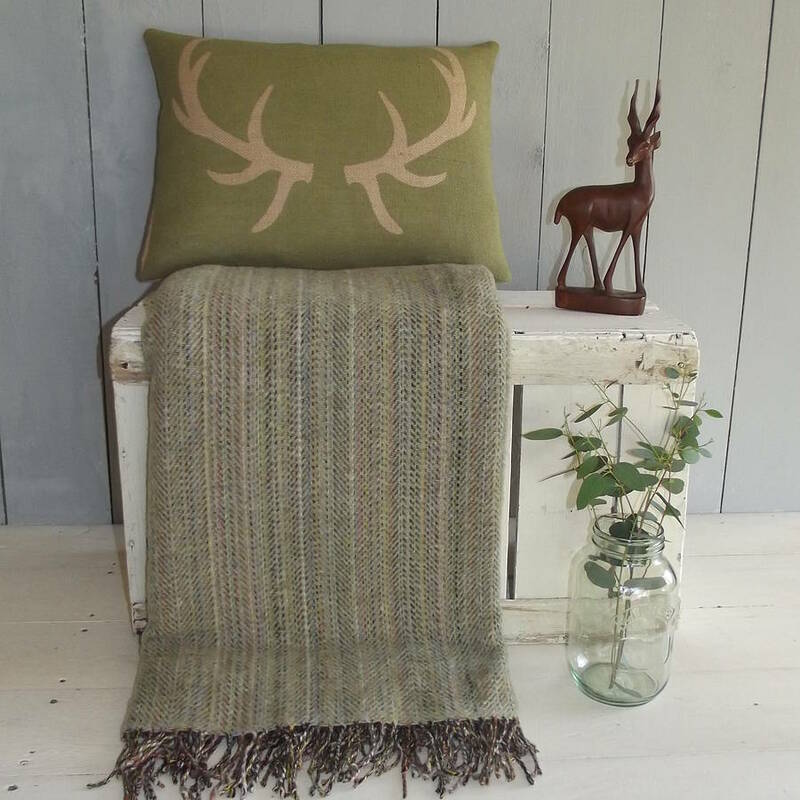 If sticks in bottles just look like sticks in bottles to you (lichen-covered or not), then why not use Farrow & Ball’s Lichen for your walls or snuggle up with this gorgeous throw. P.S. Congratulations to Julie Montagu, who has won the Paint chart joy anniversary giveaway!